Manurewa Local Board Agenda – October 2015. Something on Berm Plantings for you! The October agenda for the Manurewa Local Board is out and you can read the web version of it HERE. Of note is the Auckland Transport Berm Planting Guidelines, and the latest updates on local transport projects (which are better advancing than a certain Interchange further north). This report provides an update on local transport matters over the last month for the Manurewa Local Board (MLB). This report contains a general monthly update on transport matters both locally and from across Auckland and a list of issues currently being addressed by Auckland Transport for Manurewa Local Board. a) receive the report entitled “Auckland Transport Update – October 2015”. Auckland Transport’s response to resolutions that require a specific answer, made by the MLB at previous meetings. a) the petition requesting traffic calming measures in Sykes Road and supporting the Auckland Transport initiatives in relation to traffic in Sykes Road. e) request Auckland Transport investigate the possibility of a roundabout be installed at the Sykes Road / Mahia Road intersection. Last month Auckland Transport was able to provide answers for sub-paras a, b, c and e of this resolution. Sub-para d) was not responded too so a response is provided this month. At this time there are no plans to install kerb and channel on Sykes Road near the Aquatic Centre. b) That the Manurewa Local Board request Auckland Transport investigate the installation of pedestrian crossings outside Reremoana School on Scotsmoor Drive and Hadley Wood Drive, Wattle Downs. This resolution has been forwarded to the Road Corridor Operations Team who will investigate the request and provide a report. The aim is to be able to report formally next month. Auckland Transport has written a draft document setting out how planting in the road berm might be managed. This draft has been circulated to the Local Board looking for feedback. It was circulated to the members of the Manurewa Local Board on 27 August 2015. Auckland Transport officers attended a workshop with the Manurewa Local Board on 17 September 2015 and discussed the policy. Manurewa Local Board members raised a number of points and have made a ‘Board’ submission. The recently completed Regional Land Transport Programme included funding for an expansion of the public transport services provided at Manukau. Auckland Transport now has confirmed budget to build the planned bus interchange in this location. The new bus interchange will be located between the existing train station which is under the Manukau Institute of Technology building (shown in Fig 1) and the Auckland Council Civic Centre (as shown in Fig 2). You can see more on the Manukau Interchange latest HERE. An essential cross over point for people in the South to transfer from buses to trains. Manukau Station has approx. 1200 passenger movements per day and trains currently run from Manukau to Britonmart and ‘vice versa’ at intervals of approx. 20 minutes. When the ‘New Southern Network’ is operational in 2016 this station will be a significant ‘hub’ easily accessible to people throughout the Manurewa Local Board area. Thanks to effective advocacy by the Manurewa Local Board this interchange has been included within a ‘transition zone’ meaning that people travelling from Manurewa will only pay for one fare ‘stage’ to get to this station when the new ‘Simplified Fares’ for public transport start. The first part of the ‘New Network’ starts operating on 18 October 2015. The first routes are on the Hibiscus Coast. In South Auckland the tender process is currently underway and the ‘New Network’ is planned to be operating in South Auckland by mid-2016. This corresponds with the planned completion dates of the Manukau and Otahuhu Bus/Rail interchanges. The ‘New Network’s objective is to use frequent local bus services to get passengers to rail stations from which large numbers of people can be moved north or south. By using bus and rail services in an integrated manner efficiency is maximised. Within Manurewa the ‘New Network’ will mean more frequent and reliable bus services east/west and around the Local Board area that should make it easier for people to get them to key local rail hubs Manurewa and Manukau. A CMP is a conceptual plan that outlines the types of planning that may be needed to manage transport along a corridor, so that agencies can start planning budgets and work programmes in a coordinated way as early as possible. CMPs are not detailed but are strategic documents designed to provide a 30 year framework for all agencies working to maintain and improve transport along broad ‘corridors’. Auckland Transport has been undertaking a refresh of the CMP for Great South Road in the Takanini area to take account of the works at the Takanini Interchange undertaken by NZTA and the planned rate of growth in South Auckland. On 17 September 2015 Auckland Transport staff met with the Manurewa Local Board and discussed the CMP. MLB has a total pool of $2,392,297 available in this electoral term that can be spent on transport projects. In this electoral term the MLB has identified six projects that are being investigated. Details of the projects and their status are included in Attachment A. Significant progress has been made in the last month. Most importantly initial timelines are starting to be developed and are included in ‘Table 1’ below. Note: The timeframes indicated are’projected’ as the projects advance there will be changes to them. Table 1 clearly demonstrates the tight timeframes required to be met by projects aiming to be delivered by June 2016. It also highlights the difference in time required when a project needs to undertake a public consultation. The ‘Covered Walkway’ project for instance should advance quickly because there is not a requirement for widespread public discussion. An initial plan is available for the Williams Ave/Kirton Cres Traffic Calming project and is included as Attachment C.
An initial plan is available for the ‘Arts and Plants’ project and is included as Attachment D.
The plan for the ‘Great South Road Pedestrianisation’ project was not available for attachment to this report but should be able to be circulated by email to all members before the October 2015 meeting. 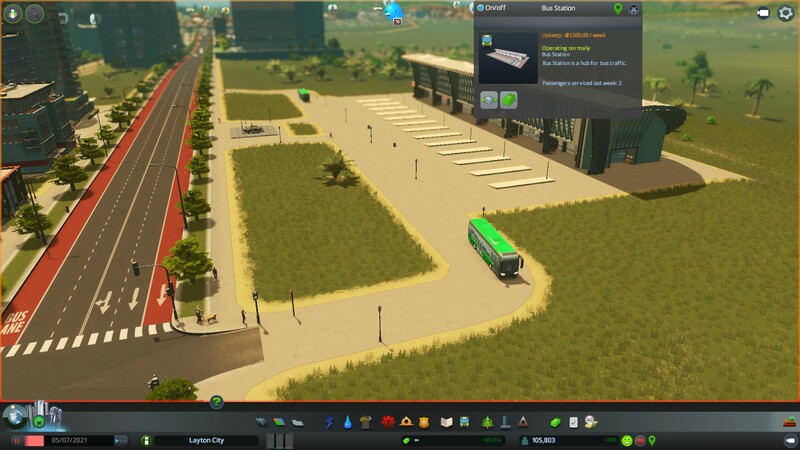 Bus Station. While this one is quiet with only a single route serving it, the stations can serve up to 8-10 routes allowing transfers between each one at the station. Attaching the Manurewa Local Board feedback on the draft Auckland Transport Berm Planting Guidelines. Auckland Transport has developed guidelines for berm planting. Feedback is being sought from local boards. The Manurewa Local Board received a briefing on the berm planting guidelines at a workshop held on 17 September 2015. At the workshop the board requested that Members Bailey and Hawkins further develop the board’s feedback at the Transport portfolio. The attached document was circulated to members for comment. a) note the feedback on the draft Auckland Transport Berm Planting Guidelines.